I don't know if this post should be here, but my program is a Real Time Localization Algorithm, so here we go. 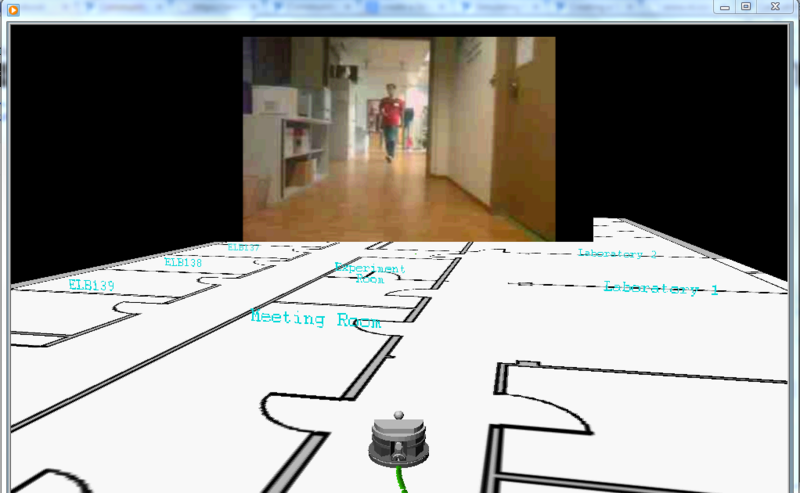 Up to now I can localize a Robot in a simple 2D map but I want to create a 3D prespective like in the attached image in Labview (the perspective of the image was also made in Labview), and I want to ask you, what would you use? I was thinking on a 3D mesh and use the blueprint of the building as texture. But, I was told that in Labview there's a really powerful tool called Robotic Environment Simulator (that I have installed) that can be used to simulate a custom 3D environment. Anyone has dealt with this problem before? Greetings and thanks in advance. So, I could finally load a map and a Robot but still can't center the robot in the Scene. Anyone know how to do that?